Makeup: Romero JennigsPhotographer: Michael RudinMode: Elizabeth G.
Makeup: Angelique Photo: Will Haddad Model: Kateryna V.
When I started pulling together images for this feature, I honestly became a little bit overwhelmed. Not by the work it took to go through hundreds upon hundreds of images, not by the difficulty in deciding which images to showcase among so many favorites. I was overwhelmed by the sheer mass of what we had done together as a community with this little magazine of ours. Over the past ten years, we have celebrated artists from every area of the industry and every corner of the globe. We have brought together brands and schools and agencies and production companies that love makeup artistry as much as we do. We have put makeup artists in the spotlight usually reserved for their clients — forcing them to center stage. I am beyond grateful to have been able to celebrate so many incredible pros and so many inspirational and artistic journeys with you over the years. We have celebrated our industry like no other, and best of all, we have had a good time as a community doing it. Now, mind you, given the small size of our team and the amount of work that goes into each issue, I’m not sure everyone would always agree on the “good time” part. But each time we crack that first box open and see a peek of the cover coming through — just a sliver of green or yellow, orange or blue — it is all worthwhile. 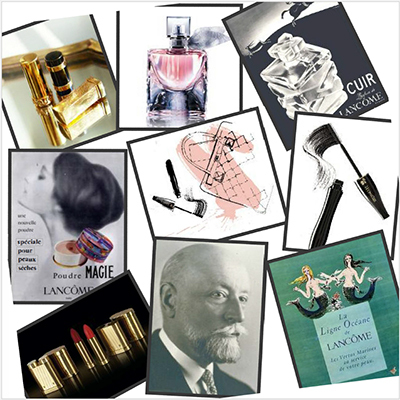 What inspired you to start Beauty Talk Radio ten years ago? Ten years ago, I wanted to do a radio show to create consistent beauty conversations among industry professionals as a way of having fun. It quickly turned into something that was very informative an inspiring. What has been one of your most memorable moments on the show? Denise Tunnell: The very first time that Sam Fine was on the show is my most memorable time. There was a large live listening audience with many people calling into the show as well as many makeup artists active in our chat room. Janice Tunnell: Interviewing Mikki Taylor, formerly of Essence Magazine as well as interviewing Ve Neill, another Film Artist that we’ve admired and respected for years. With the many amazing industry professional guests you all have featured on Beauty Talk, what’s been the common message from your guests? DT: Beauty comes from within. JT: And believe in yourself. How has the industry changed since Beauty Talk started 10 years ago? Two words, Social Media. Social Media is much bigger. When we first started the show, Twitter was the popular social media of choice for the industry. Now, pictures are everything as well as live video. Also, everyone is a makeup artist now. What makes a program like Beauty Talk so special and resonate with your listeners and guests? When, where and by whom was the company founded? Alcone was founded in 1952, in New York City, by Alvin and Harriet Cohen, hence the name Alcone. The company is now owned by the Mallardi family who purchased it in 1983. How many people were involved in the founding? It was the two of them. They realized there was a market for supplying makeup and necessary tools for showgirls and theatrical performers. Alvin’s parents owned a pharmacy in the same building where Alcone first started. It was probably a motivation for he and his wife to start a company of their own. What was the first product the company produced? 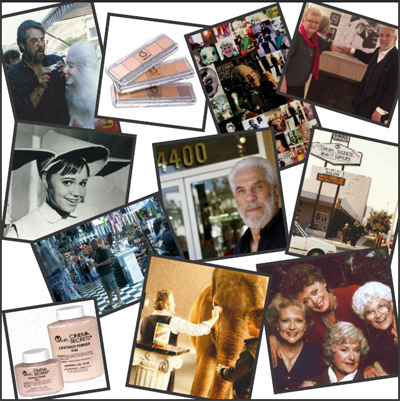 Cinema Secrets, the Burbank destination for pros in the know, celebrates an amazing 30 years in business this year. This family run business created my makeup master Maurice Stein and his wife Barbara has been at the center of the makeup community since the day it opened its doors. Full of personality and the combination of an at-home feeling combined with on-set professionalism, Maurice and his team have managed, since day one, to make everyone who enters the world of Cinema Secrets welcome and part of the family.